Since 1987, JY&A Consulting has been ahead of the game. We foresaw the shifts toward digital media; the consumer demand for transparency, social responsibility and environmentalism; the blurring of internal and external audiences; and the rise of social media. 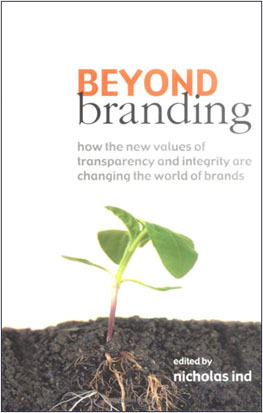 Jack Yan was one of the contributors to 2003s Beyond Brandinga Carbon Neutral bookwhich discussed transparency and corporate social responsibility. The concepts remain relevant today, and illustrate just how far ahead our thinking was. Weve always had a desire to be first, staying a step ahead of the competition. And we know that our clients want this, too. Thats why JY&A Consulting constantly watches how people consume brands, and how our collective thinking changes. We had a virtual structure as early as 1987. By the turn of the century we were examining globalization and how to create moral brands that addressed the excesses of some of the worlds corporations. We knew consumers would quickly demand transparency and social responsibility as they became more better informed. We watched as younger voters embraced environmentalism, and knew that it would find ways of becoming mainstream. We connected one of our sister companies to the UNEP, and Beyond Branding, which founder Jack Yan contributed to, was an early Carbon Neutral book. More recently, our attention has included social media. Weve blogged since 2003 and joined Facebook and Twitter in 2006 and 2007, working out the best ways of using the media to build our clients brands. Weve taken social media into politics to engage citizens, and help build cities from the grass roots. Internal and external audiences are being blurred. The next stage for brands is to engage audiences and how some of the conventions of social media might affect strategy. We need to grasp how best we can bridge cultures properly in order to connect with audiences worldwide. It is in this ever-changing world that JY&A Consulting helps clients create and develop their brands. We balance this with our knowledge of the last 60 years of academic research in branding, including our own. We see the dynamics of our planetand help our clients stay a step ahead.